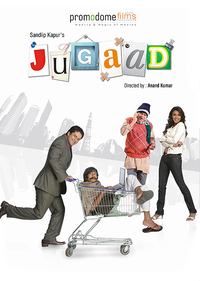 Review Summary: JUGAAD is a good idea gone terribly wrong. At the box-office it stands no chance. The film recaptures the chaos and the convoluted officialese through the experiences of a small advertising company that was on the threshold of a big break before the padlocks and the bulldozers arrived. JUGAAD is a good idea gone terribly wrong. At the box-office it stands no chance.